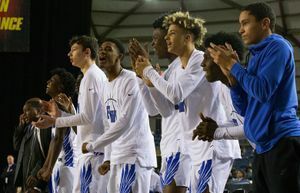 A big run to open the second half helped the Falcons beat Eastlake 75-61 and clinch a spot at state. Sometimes, if you’re lucky enough to win consistently, the faces and stories behind championships can blur. 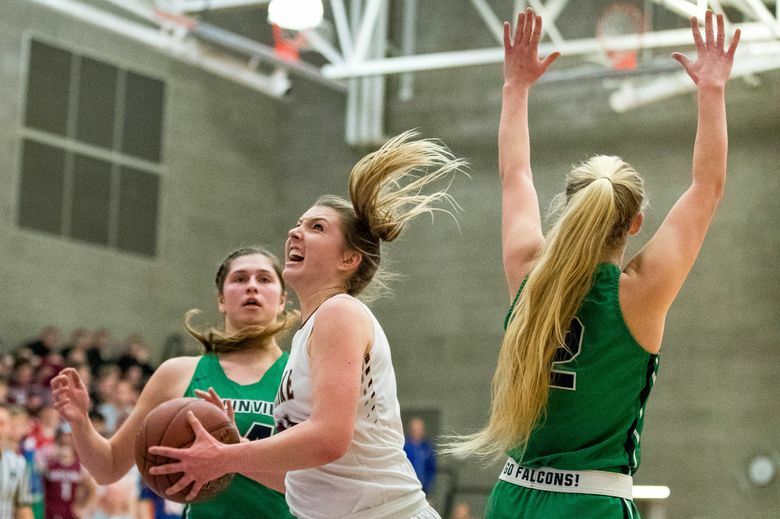 Not for Woodinville’s girls basketball team this season. Coach Scott Bullock has known the pack of five seniors since bitty-ball. 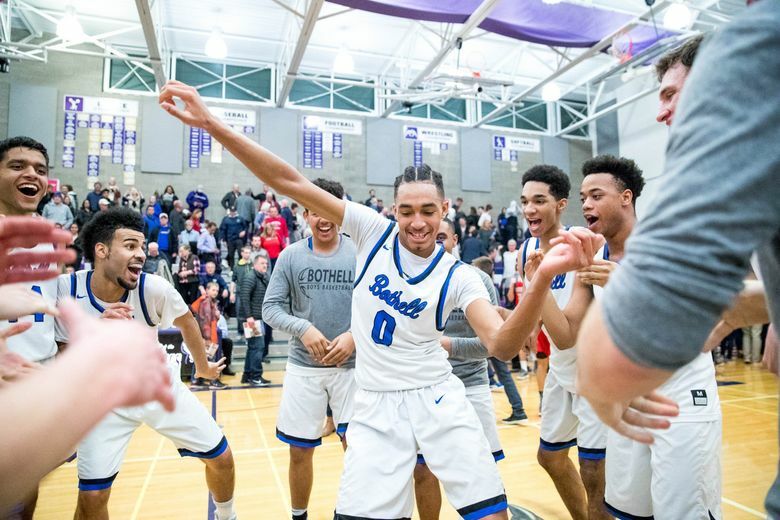 On Thursday night, they all played a role in winning their final KingCo 4A tournament championship. 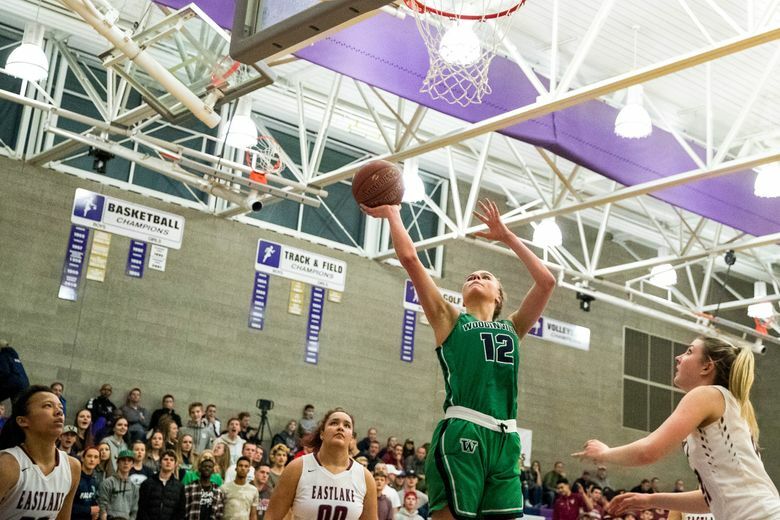 Woodinville defeated top-seeded Eastlake 75-61 at Lake Washington for the title. It’s the Falcons’ second straight and fifth overall for Bullock. 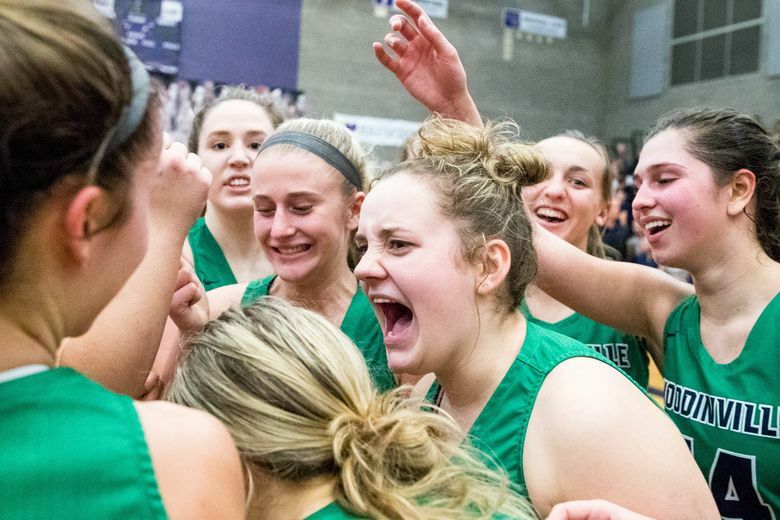 Woodinville (19-3) also clinched the state tournament berth and will begin with a regional tournament game next week. 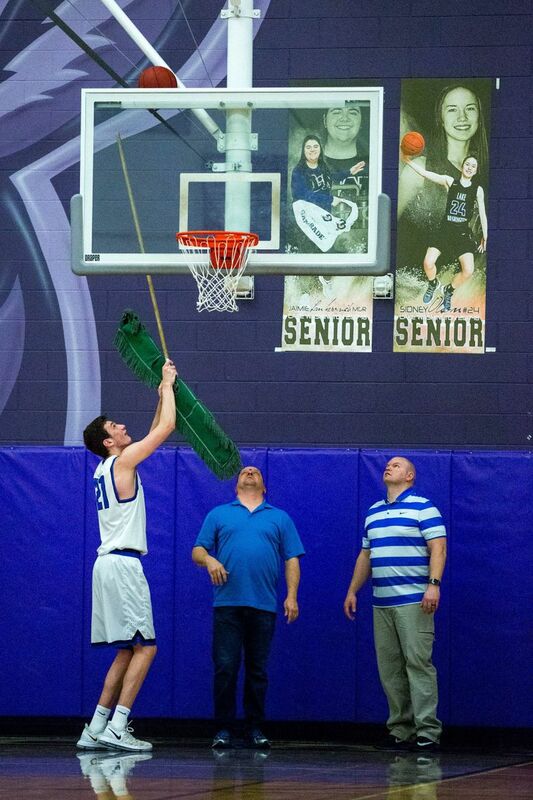 Eastlake (20-2) plays Skyline (16-8) on Saturday in a loser-out matchup to advance. The Wolves were down 34-33 at halftime. Falcons senior Madison Lundquist hit a bucket under the hoop to open the third quarter, igniting a 13-4 run. 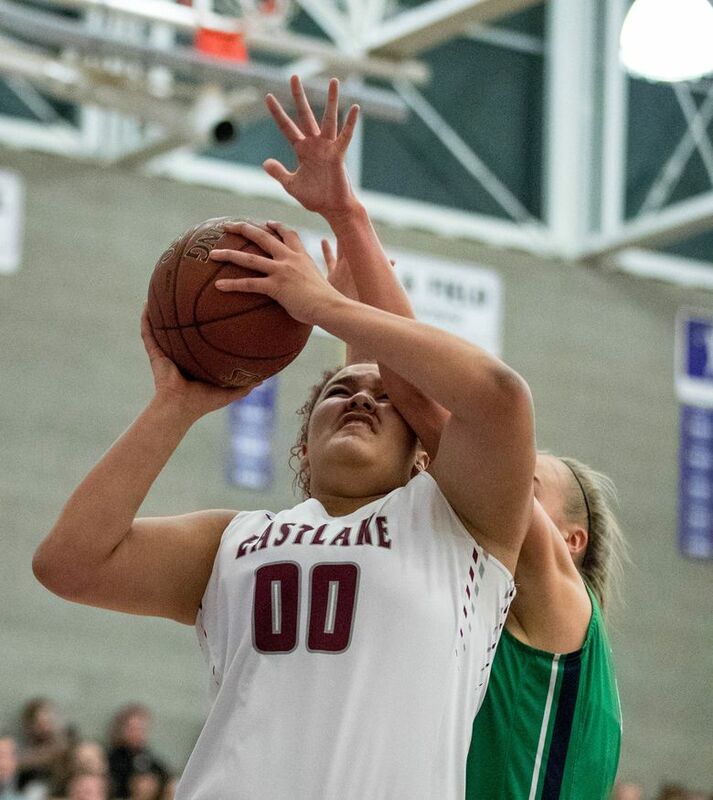 Her putback with 4:10 left in the quarter built a 47-37 lead, forcing Eastlake coach Sara Goldie to call a timeout. 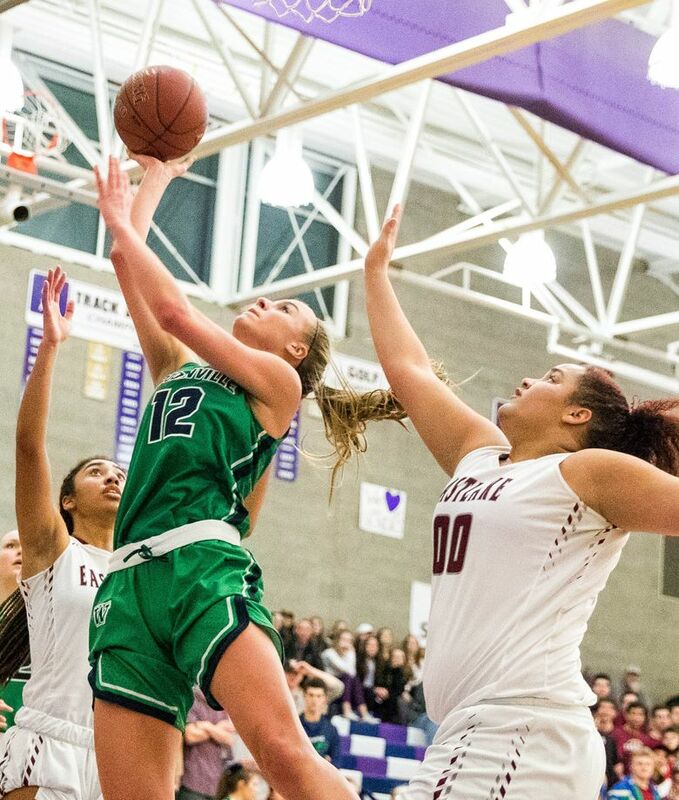 Woodinville took away Eastlake’s noted inside game and forced the Wolves into bad decisions throughout the game. 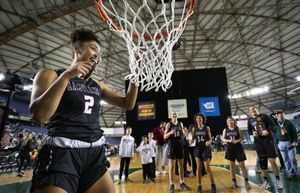 But senior guard Gina Marxen, who was voted the league’s MVP, used the three-point shot to help the Wolves stay in the game. 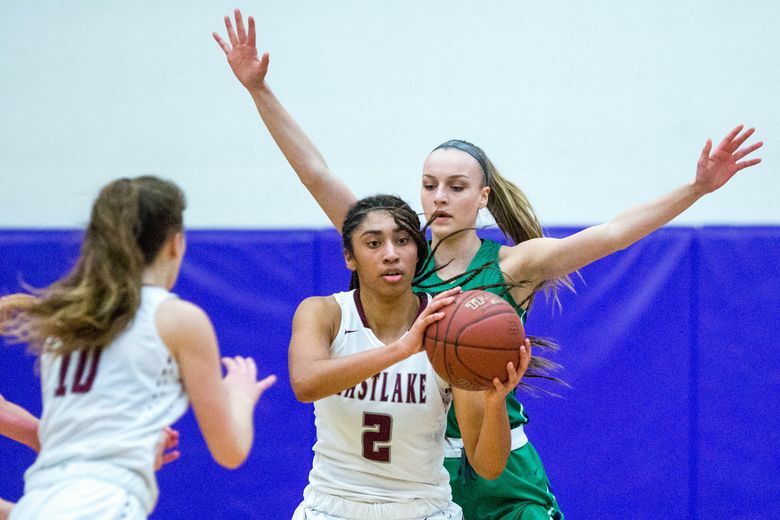 Eastlake couldn’t pull any closer than eight points, doing so twice in the fourth quarter. 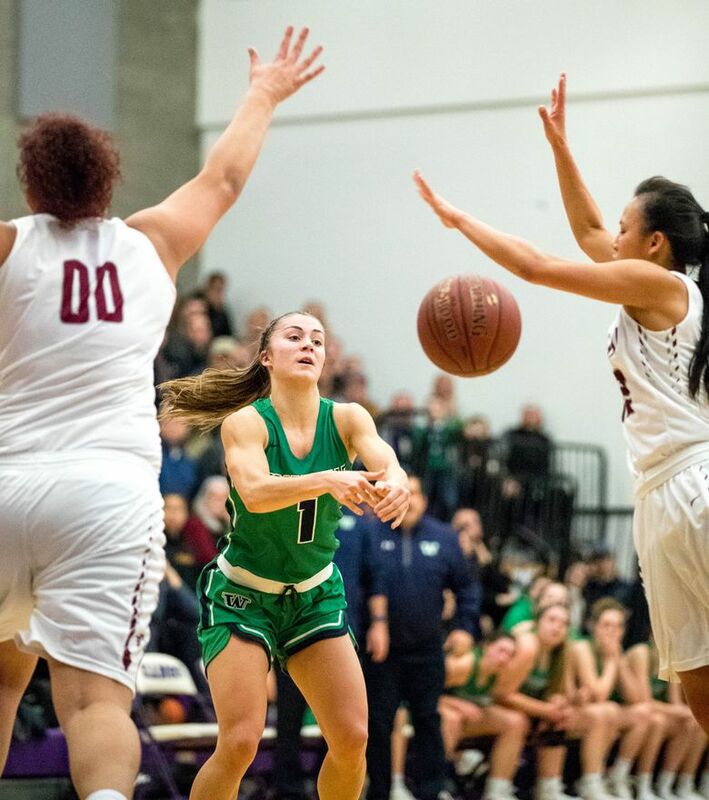 Woodinville senior Alena Coomar nailed a three-pointer as the shot-clock buzzer sounded to give the Falcons a 65-54 lead with 2:28 left in the game. 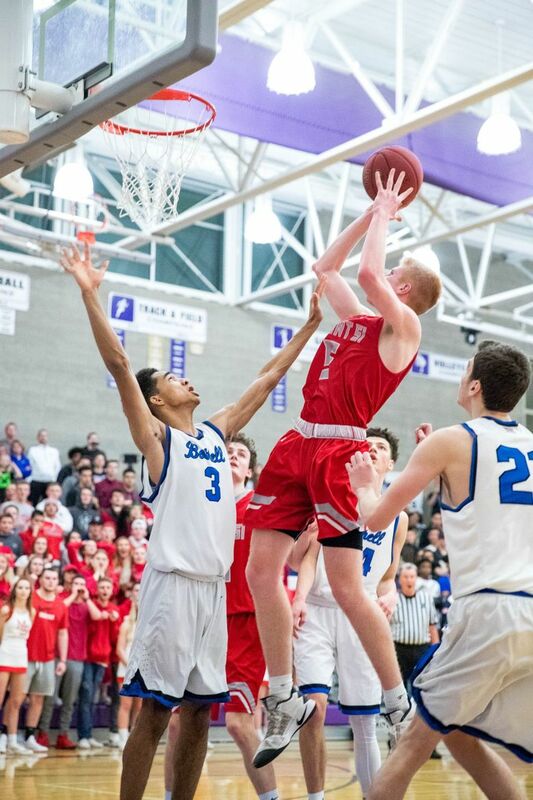 The shot also served as the final blow to Eastlake’s hopes to rally. 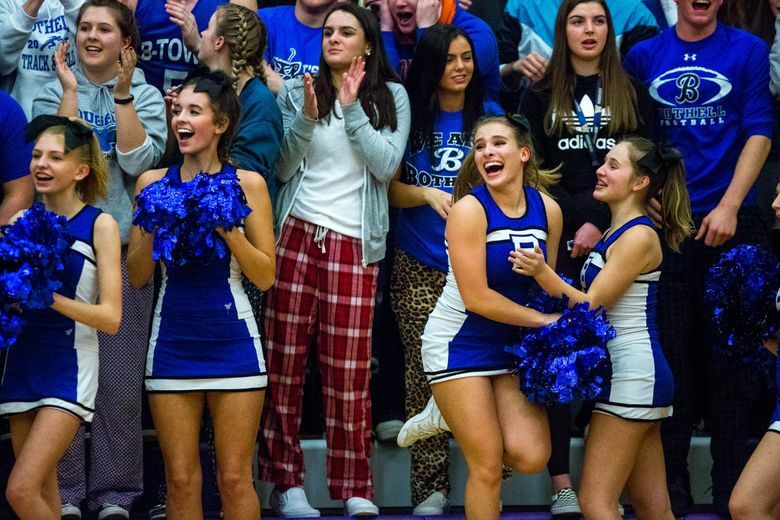 Falcons senior Regan Schenck made eight free throws in the final minute to help seal the win. 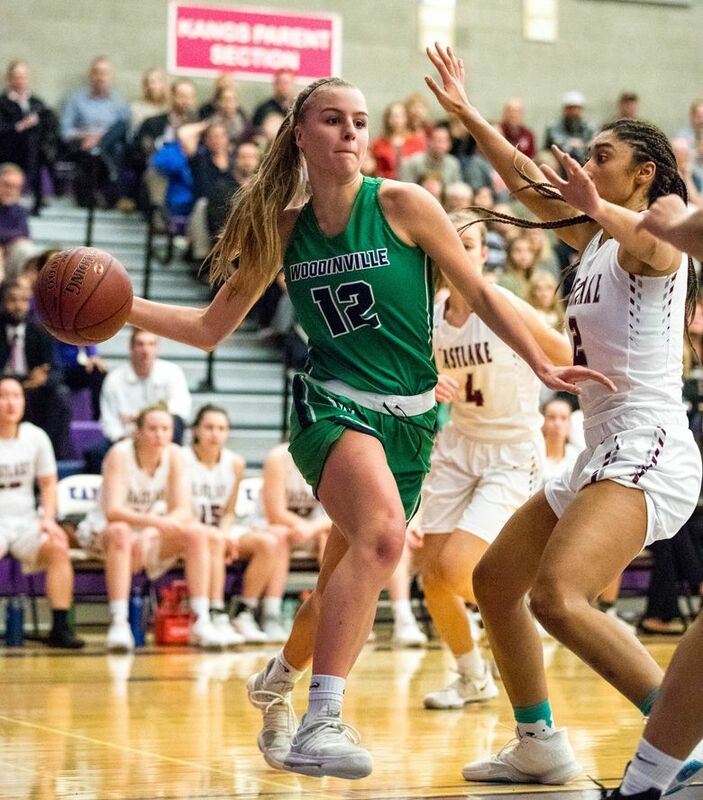 She finished 20 points while freshman Mia Hughes led Woodinville with 24 points. Marxen led Eastlake with 20 points. Senior guard Cameron Edward and sophomore forward Keeli Burton each had 16 points for the Wolves. 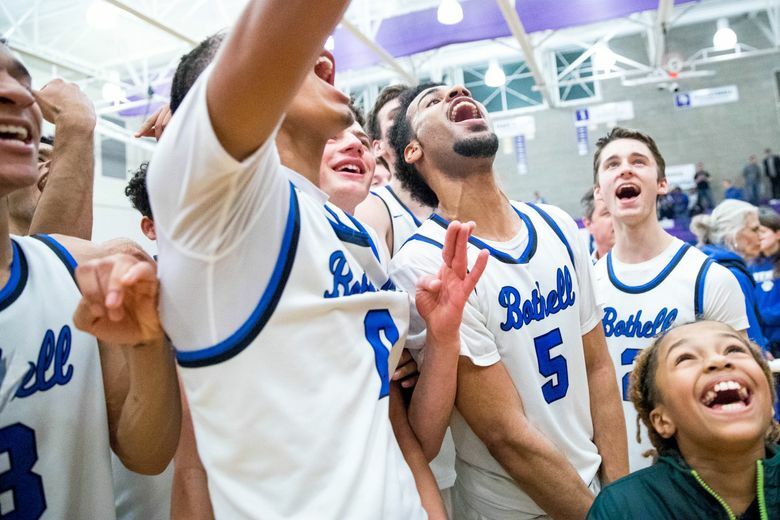 Bothell defeated Mount Si 49-43 for the KingCo 4A boys basketball tournament title. The win advances the Cougars (20-2) to the regional tournament next week. 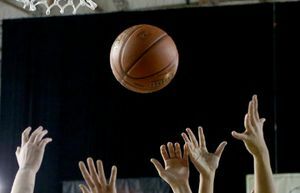 The Cougars were down 41-39 with two minutes left in the game. 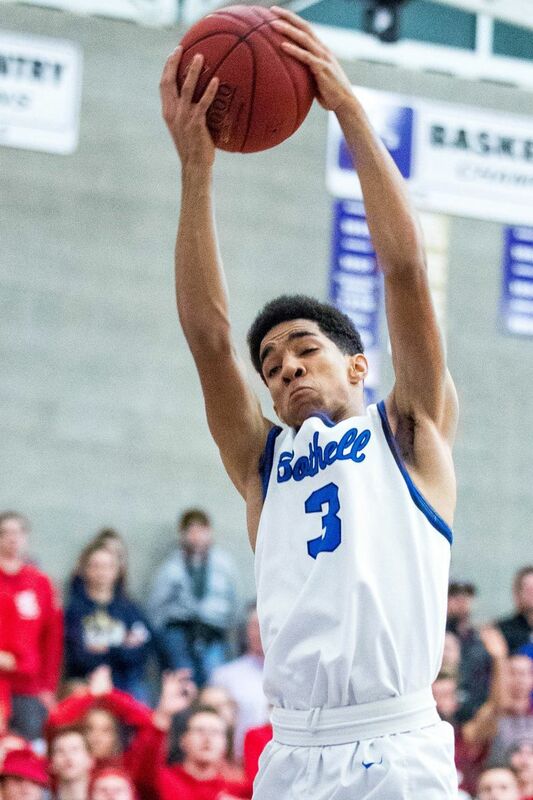 Senior guard Cameron Tyson hit a three-pointer to pull Bothell ahead and teammate Da’Vicious Wilson added a layup for a 44-41 lead with 1:03 remaining. 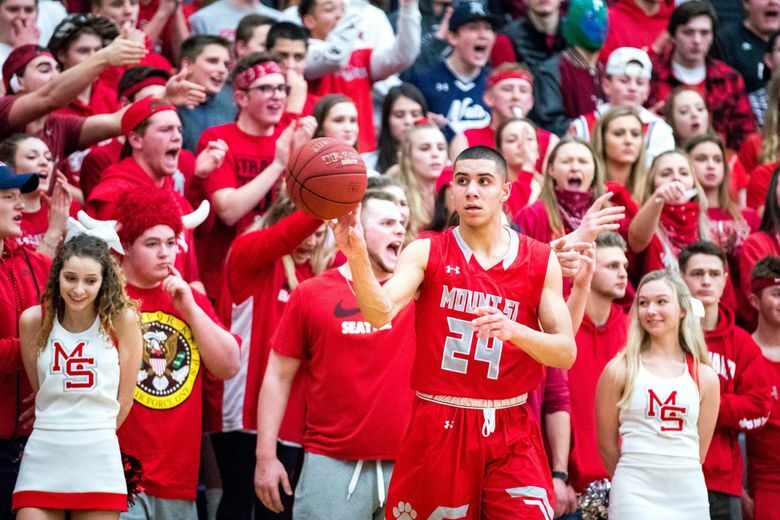 Mount Si sophomore Jabe Mullins had a putback to narrow the deficit to one point, but the Wildcats (13-10) couldn’t get a defensive stop or make their free throws to close out the game. 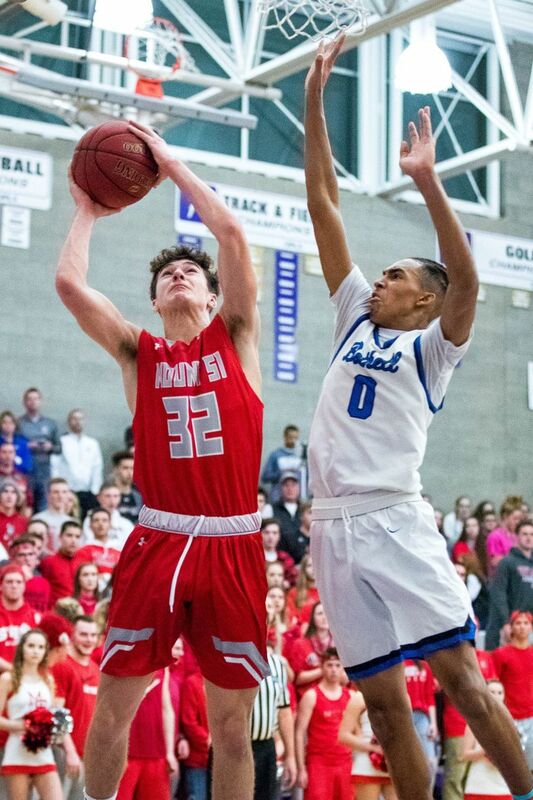 Mount Si plays Skyline (17-6) in a loser-out game Saturday for a regional berth. Tyson finished with a game-high 17 points but injured his ankle in the fourth quarter. Mullins led his team with 13 points. or jevans@seattletimes.com. On Twitter @JaydaEvans.